Horse Feed Horse Feed – McGough's Inc.
As our business began in the 1890s, we can honestly say McGough’s has a long tradition of feeding horses. Although their use in transportation and farming has declined, we know how important horses’ nutritional needs are to their owners. We offer a selection of formulated diets from Purina and Buckeye, as well as sweet feeds, grains, salts and supplements to keep your equine companions ready for the trail or the show ring. Equine Senior® horse feed was formulated to provide horses with a complete feed that furnishes optimum nutrition for the older, less efficient metabolic systems, to insure a lengthy and contented life. 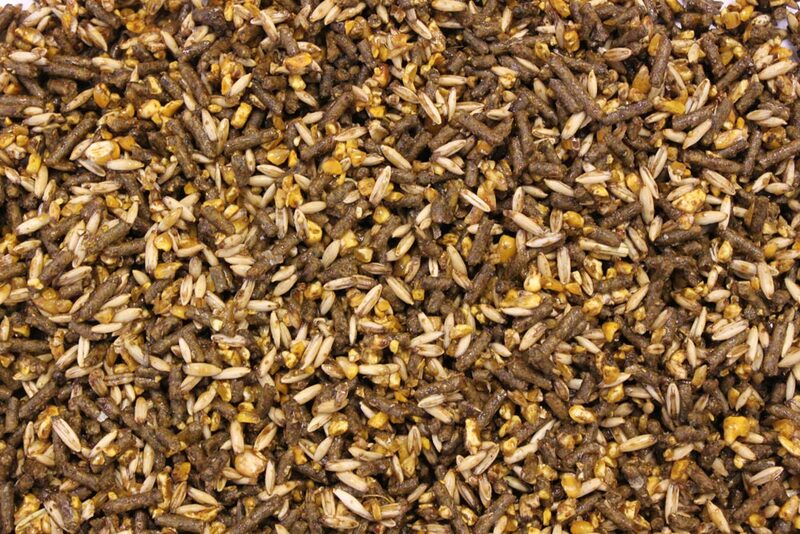 The feed is made up of pre-processed alfalfa and grain products that are high in nutrients and more easily digested by older horses. Purina® IMPACT® is formulated to deliver premium nutrition that fits in any budget, with only the highest quality ingredients that have been proven through years of feedings to support horse health and performance. Consistent quality with key vitamins and minerals to support bone structure and immune system, added fat for sustainable energy and healthy coat, and quality protein for muscle maintenance and digestibility. “Hay stretcher” formulated to provide a complete all-in-one diet for horses. Meets your horse’s maintenance from efficient breeding to winning performances. This highly digestible feed is nutritionally balanced and its pelleted form makes it convenient to transport, feed, and store. Improved levels of amino acids, vitamins, and minerals. This greater nutritional profile can deliver even better convenience, value, and performance for you and your horse. Not all forage is created equal. That's why GRO 'N WIN® is the perfect ration balancer to complement your horse's forage. Created to be fed as a stand-alone feed or a supplement to your horse's daily grain diet, it is formulated with a precise balance of amino acids, vitamins and minerals for easy digestion and absorption. 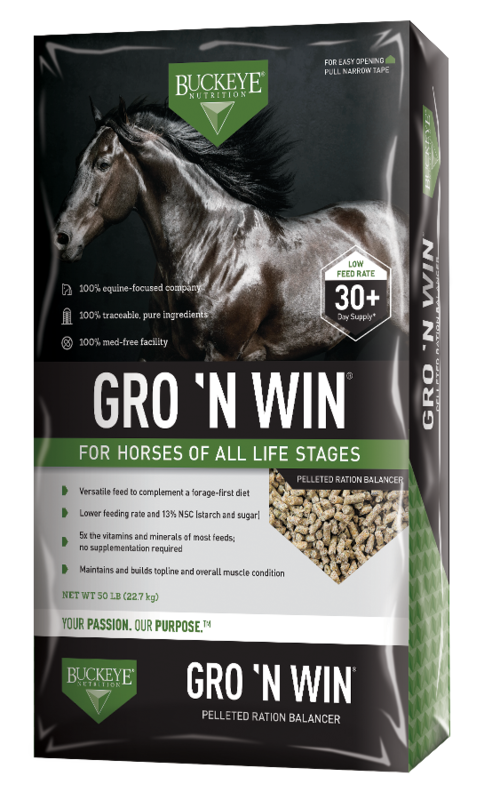 GRO 'N WIN® is highly concentrated, so you feed less of it, allowing your horse to eat more naturally. 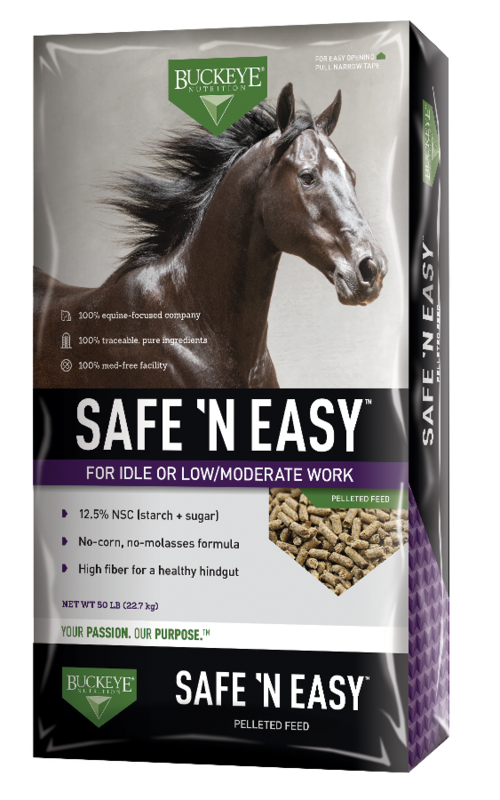 A naturally palatable, low molasses feed, Senior Texturized is designed for healthy, older horses with functional teeth that can still eat long-stemmed forage. Supplies essential vitamins and chelated minerals along with amino acids for superior protein quailty to help maintain muscle and bone integrity and provides essential nutrients without providing excessive energy or starch.